Before sharing the list of top Indian digital marketing case studies, we would like to ask few questions to our readers; especially to wannabe marketers who have landed on this page. Have you ever wondered how the marketers of top-notch companies manage to create amazing online campaigns? How do they gain the “n” number of followers over social media platforms? What kind of strategy do they follow for their business marketing campaigns? Are there any specific rules? Any company whether it’s a small or large scale based would crave for online followers for the business. Its an ideal job of marketers to create such kind of innovative campaigns that not only draw people’s attention but make them talk about the brands to peers as well. Digital Marketing is a creative industry that helps businesses to get in touch with the prospects through online mediums. With this advancement and more use of social media, anyone from anywhere can get in touch with the company and share their experiences, proposals, message, services, complains, etc. just with a click. Today, the businesses understand the complexity of online platforms and take well advantage of same to share products & services summed with innovative marketing strategies. 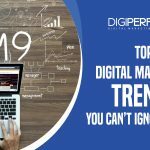 Therefore, in this post, we will share the list of Top 8 digital marketing case studies that will help you to learn innovative ways. These campaigns are only designed to target the sentiments of the Indian market. Case Study 1: How The Ministry of Food Processing (Govt. of India) spread awareness about World Food India through social media platforms? In 2017, the Ministry of Food Processing Industries which is a ministry of the Government of India was looking for various ways to promote and spread awareness about World Food India. The Ministry wanted to promote India as the world’s food factory. They desperately needed a way out where they could interact and raise not only the awareness about the same but to educate Indians how India is the largest producer of food and food products, suffers from acute shortage of food. India is the fastest growing economy in the world, yet 40% of its food production is wasted annually. Therefore, the country especially the youth needed an awakening regarding same and World Food Day was the ideal time to start with it. Meantime, The Ministry analyzed that youth is highly approachable on social media platforms and therefore, they need to look out for innovative digital marketing strategies to reach them out directly. For same, they hired a digital marketing agency that designed a creative marketing strategy that talked about food wastage and how to tackle it. The agency targeted the audience with creative posts and engaging campaigns with hashtags. Make My Trip is one of the top-notch travel agency which is also quite popular on social media platforms. This company must be followed by all learners as they keep on introducing creative campaigns and offers especially during festive days. The online travel company used the Independence day as the major event to target the youth by rewinding the revolutionary efforts for independence. They came up with the #DilHaiHindustani which took the odyssey of independence from 1857 to 1947. Mangal Pandey agitation, Jallianwala Bagh massacre, non-cooperation movement, Chandra Sekhar’s Kakori train robbery, and were some people who were featured in it. When it comes to digital marketing campaigns, you can’t ignore e-commerce companies. During the same independence celebration, the top-hole brand Amazon India went for the innovative marketing strategies with goods ads as well as offers and using them wisely on social media. The campaign we have been talking about can set a great example of online marketing campaigns, especially in e-commerce industries. Amazon India’s The Great Indian Freedom sale organized the contest which involved the fun activities and the contestant got the shopping vouchers from the company. The campaign was named as #10KeBaadKarenge, in this, the people push their shopping plans after the 10th of August because of Amazon sale. Social media is the best platform when it comes to boost your online presence and increase the sale of products within the country. Same has been well followed by KFC which is the famous global restaurant chain brands. It’s the number one restaurant brand on social media in India. KFC tried many campaigns to increase their online presence on social media platforms for brand awareness. KFC had launched very famous campaigns like Radio KFC RK Hunt, Design Your Own Bucket campaign and Currycature to target the youth audience by involving mobile apps. These campaigns helped them to develop their brand awareness as well as increased engagement. When they started Radio KFC RJ Hunt Campaign, 3000 people around 30 Indian cities participated in the competition. It was a social media campaign to promote KFC’s brand in-house radio channel where fans recorded their voices over the internet with the Facebook App and shard their analog radio experience. Especially newcomers wanted to try their hands over this hunt and decided to took part to collaborate with the famous brand. Similarly, “Design Your Own Bucket” campaign was another social media marketing strategy where the participants were asked to create their own creative KFC buckets. Almost 5500 entries took place in total where the participants came up with their colorful KFC buckets. Additionally, they have also introduced bucket entries with Sachin’s picture on the KFC bucket on the day when he retired. Amazing right! Another innovative KFC’s campaign was “Currycature” where participants have to choose a character with an ethnic Indian touch and then to upload the pictures. Around 17K Currycatures were made by their fans which gave them a unique experience with the brand. KFC was featured by Social Baker as among the top 5 socially devoted brands. The overall positive engagement of their Facebook page grew from 6.2% to 93.8% which was thrice to sector average. KFC was placed among the five fastest growing social media brands in India. As you can judge by the name, the campaign was solely targeted on families. Obviously, the motto of the campaign was to promote Tata Sky’s product/services called Tata Sky+ Transfer. This new product is used to transfer the recorded content from TV to mobile or tablets. Basically, in each family, everyone has their own preferences when it comes to channels. In the families but due to some reason, not everyone watches their favorite shows at the same time. This is very common in Indian families where most of the time TV remote is controlled by the head of the family and others just follow his/her favorites. For this purpose, the brand came up with an idea and created the out of mind family named as Transferkars. This product helped family members to transfer their favorite shows on mobiles or tablets and enjoy every bit of it. The campaign was a huge success and got viral through social media and TV commercials. Various kind of family-related content was shared during the campaign with discounted offers to the clients. Basically, there understanding of the potential market made the campaign huge hit. Paper Boat is very known Indian brand of traditional beverages known for drinks which you can commonly prepare at home like aam panna, golgappe ka pani, Jamun Kala khatta, and kokum. These kind of flavors are quite common among Indian families but not everyone can prepare it at home. As Paper Boat mission states, the purpose of these drinks was to take you back in those memories and float a boot this monsoon. And, the same purpose is very well carried by the team through digital marketing campaigns. They created numerous innovative campaigns that targeted the emotional side of the audience and made them in love with the brand. However one of the Paper Boat’s campaign was the huge hit among audience called #FloatABoat. As you can get the idea by the name, the company asked people to make a paper boat like they used to make in childhood days and share it on the social media by using the hashtag along with the title of the campaign i.e. #FloatABoat and following their social media pages. Another purpose reviled by the brand is that if someone shared this on any social media, Paper Boat will donate Rs.20 for children’s education. The purpose behind the campaign touched million hearts and it was a big success which caused timelines to be jammed with paper boats. You can analyze now how much followers Paper Boat got during the campaign. This campaign was dedicated to all the extraordinary and selfless mothers designed especially on Mother’s Day. Nivea’s Mom’s Touch campaign talked about some extraordinary, selfless stories of the mother from all over the country. The brand asked the audience to share the selfless moment of their mothers by sharing this video over the social media platforms. Their marketing strategy also had a beautiful objective to gain viewership. The brand made a promise that by sharing this video on social media the donation from the brand was done for the girls. Case Study 8: KKR – IPL Team’s Digital Marketing Strategy. Not even the IPL team could stay far away from the digital world. Kolkata Knight Riders (KKR) is the franchise representing Kolkata in the Indian Premier League (IPL), a Twenty20 cricket tournament whose co-owner is one of the famous film star – Shahrukh Khan. KKR team has the most engagement with their fans and followers due to its digital marketing strategies. During the initial days, KKR showed keen interest to gain followers over the internet and worked on various objective like how to increase brand awareness of KKR irrespective of Shahrukh Khan, how to stay tuned and connected with the fans and how to keep them updated with latest news & updates. For engagement, first, they decided to create a video blog dedicated only to KKR fans named “Inside KKR” where fans can get through their news and their favorite players easily. Secondly, they had a website blog and an official mobile app that kept fans engaged and updated with the latest news about the team. They paid special attention to social media platforms as well as The digital marketing team at KKR has also organized a live screen Facebook chat at Facebook HQ in Hyderabad. Players of KKR had queued sessions on Twitter with their fans and run special “Cheer for KKR campaign”. This is for the time that any sports team followed a digital idea. Facebook page of KKR has 15 M likes during the campaign, the highest of all the other IPL teams. In Twitter, KKR is the most engaging IPL team. KKR became the most followed IPL team on Instagram with more than 466K followers. It has also gained traffic to its Pinterest page and Google Plus profile. Customized & personalized video shared on social media platforms by fans led them a chance to receive a valuable acknowledgment by the team players which has turned to 10 million cricket followers which impacted on and off to the KKR team. There are numerous ideas to create your online marketing strategies. All you need is think out of the box and plan according to the occasion. Also, while creating marketing campaigns your focus should be on how to touch your audience emotionally. It’s proven that sensitive topics can lead to gain more attention and engagement. But make sure it should hurt or carry forward against the law. Digital platforms can provide you the vast playground where you can experiment and reach out to a million people with a great marketing strategy. So let’s get started to create your online marketing campaigns and reach to millions of hearts. Make your marketing so useful that people would pay for it. Great information about different digital marketing strategies fro big brands in india . Thanks Rakesh for appreciating. Keep Reading! your content is outstanding ! plz come up with some more blogs on digital marketing stratergy …. Sure Rahul, we will definitely share strategies centric posts. Soon!